Offline Marketing – So Easy A Caveman Could Do It! Well, not really – but it is one of the quickest ways for a new internet marketer to start making some income. I was on one of my favorite marketing forums the other day (Earn 1K a Day) and one of the members was recounting a recent conversation with his ‘regular job’ boss and they began to discuss using the internet to market several of their products. My friend proceeded to talk about landing pages, email autoresponders, Facebook business pages, social media, backlinking, etc. His co-workers were astounded at the amount of knowledge he had and began to pick his brain on various subjects and what they could do to begin implementing some of the ideas. The truth is that as an internet savvy marketer you have skills and techniques that brick and mortar business owners want, need and are willing to pay significant amounts of money to have you implement. It is certainly nice to build and promote 100 or so affiliate sites that each bring in $20-50 a month revenue but with just a little more work (and some personal salesmanship) you can have 30 or so offline clients and charge $300-500 and even more each and every month. You’ll probably need to outsource some of your work so it won’t be 100% profit, but with 5 figure stable income each month you have a great business model to build off of and add more geographic areas and niches. 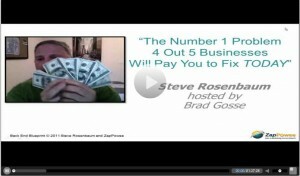 Online Profits Secrets – It’s All In The Details! I get emails all the time – “I’ve tried this technique” or “I’ve tried that technique” and nothing seems to be working. They are frustrated because they feel like the techniques they’ve been taught just do not work. It’s not that the techniques do not work, the problem is that someone has failed to tell them the real secret. Creating a profitable business (online or offline) is a lot like cooking the perfect Brisket! I love to cook. I may be good – I’m probably not – the truth is that 100 people can make a recipe and you’ll see the typical bell curve results. Ten percent or so will be excellent, 10% will be inedible and the remainder will be average and elicit no real response good or bad. Relating this to business – if you’re in that top 10% your customers are going to become raving fans and tell all their friends about you providing fabulous free advertising and making your business an instant success. If you’re in that bottom 10% there’s absolutely no way you’re going to make it in this business niche until you improve your skill set or change business model. If you’re that average guy in the middle you are going to need to do some incredible marketing / advertising / awesome promotions to generate enough traffic to overcome the ‘averageness’ of your product. What does this have to do with Brisket? 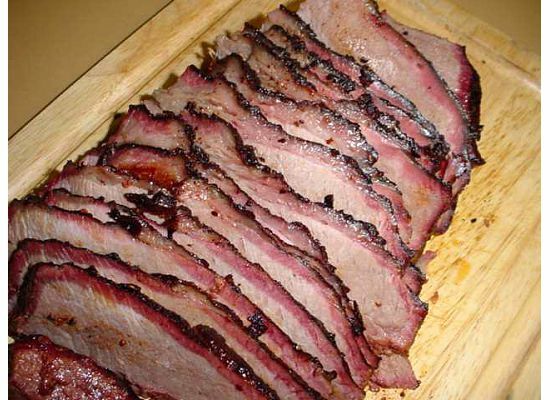 Unless you’re a barbeque aficionado you may have never even eaten a great brisket. It’s a cheap cut of beef that’s (without proper handling) tough and almost inedible. However, hit a great New York deli and ask for corned beef or pastrami and you’ll soon know how a master craftsman can take a cheap cut of beef and turn it into perfection. Or visit a BBQ competition and taste the perfectly smoked brisket and you’ll know that it is indeed the details that make the difference between poor / average and “the most delicious bite I’ve ever had”. I had read about great BBQ – I even tasted great pulled pork in Memphis many years ago but never knew that it could be replicated. It wasn’t until my wife bought me a ‘BBQ Bible” kind of book that I began to understand. There are a thousand variables and none of them can be narrowed down into a ‘recipe’ of sorts. Yes, the ingredients are all the same and the procedures are all the same but the subject is completely different every time. In the case of brisket – none are exactly the same so a scientific formula is never going to work. You need to have enough experience with the cut of meat and the cooking / smoking process to know when it is done. In the case of your internet business – again, none are the same. You need to know your market, your niche and your customer base well enough to know exactly how to position yourself perfectly. Likewise, the perfect business has yet to be created. And nobody can tell you how to perfect your own business. They can give you the tools and techniques that work, but it’s going to take practice on your part to find all the little details that make the difference between a technique failing or succeeding. You can learn the hard way like I did by trying 100’s of times and tweaking a little here and there – or you can find someone (or a group of people) to bounce ideas and questions off and shorten your learning curve significantly.